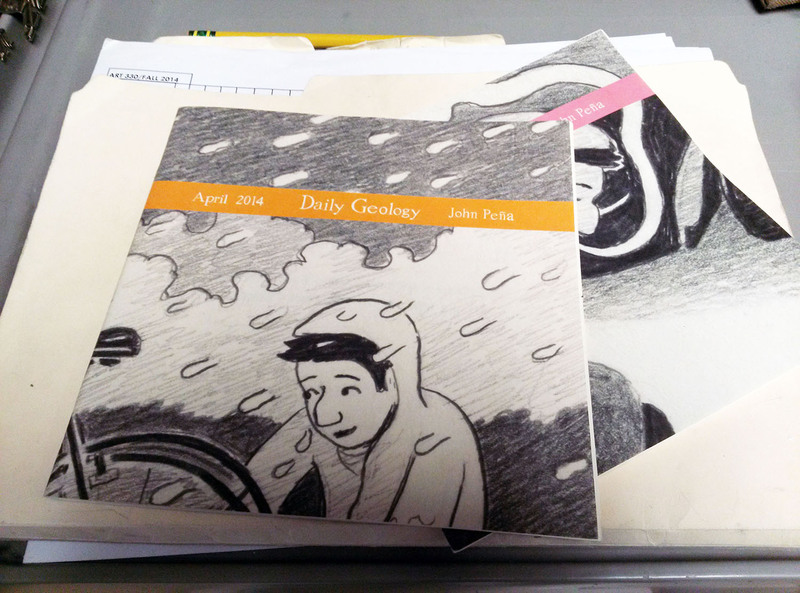 On Monday, I had a great conversation with Pittsburgh artist John Pena. John will be a visiting artist at WVU next year, so it was nice to be able to bounce ideas for his visit. I was also able to snag a few copies of his printed version of Daily Geology. 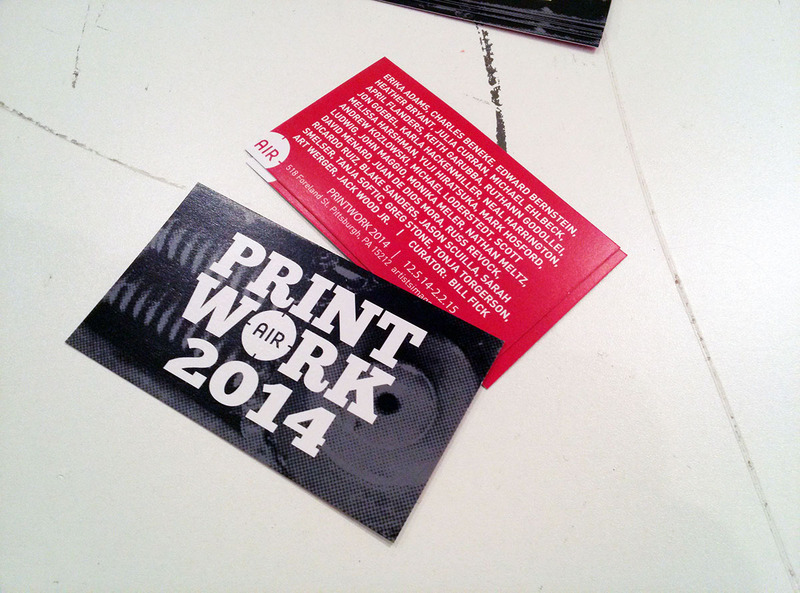 Afterwards, I headed to Artists Image Resource for a board meeting, but I got to see the PRINTWORK 2014 exhibition! It opens this Friday and looks great ! Bill Fick did a fantastic job of curating this exhibition…See you at the reception!